The Supreme Fries – consists of freshly cut French fries, lettuce, tomato, ground beef and ranch sauce. 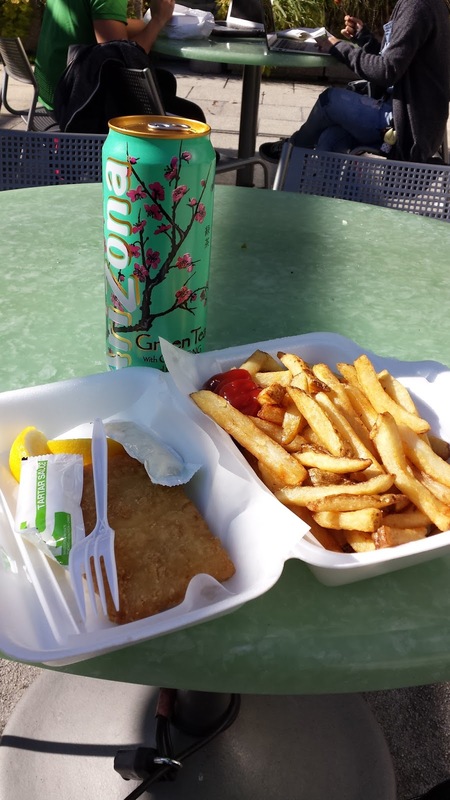 The Fish and chips Combo – consists of deep fried fish and chips with lemon and tartar sauce, French fries and drink of your choice. 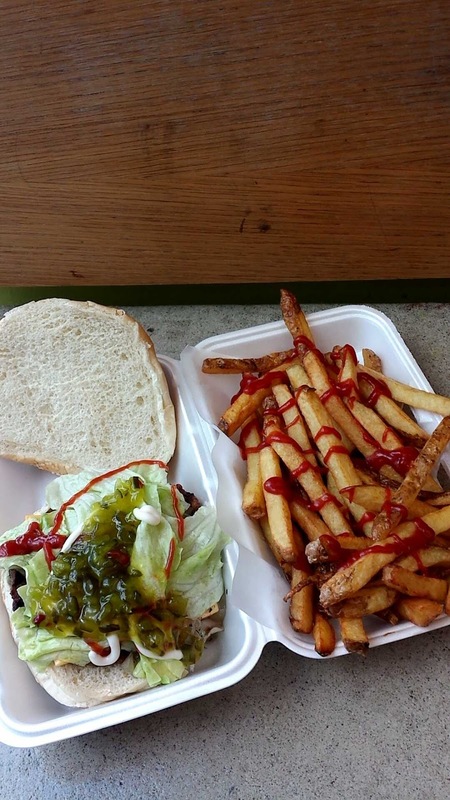 A classic burger and fries combo at the brown food truck. This truck offers some quick Chinese food in bulk (one of the large white containers) for prices ranging from 7-9 dollars (talk about cheap!) 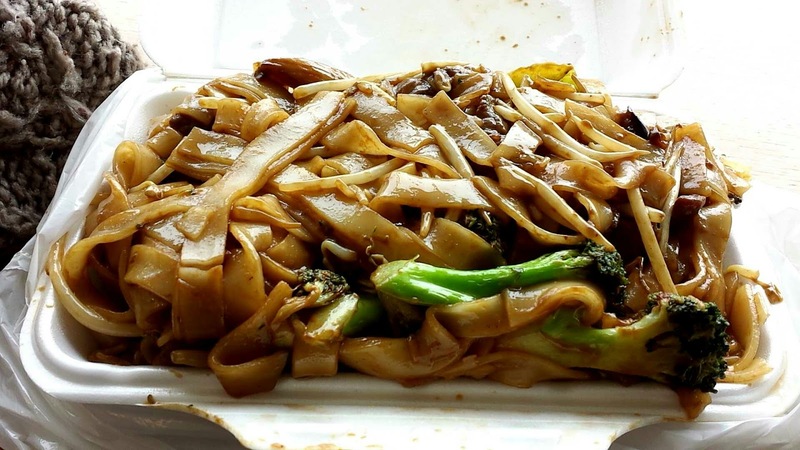 Usually whenever I order from the trucks I order Flat Noodles with Black Bean Sauce, Broccoli and Beef. This is a great truck, solely because it sells a variety of shawarma wraps of all kinds. 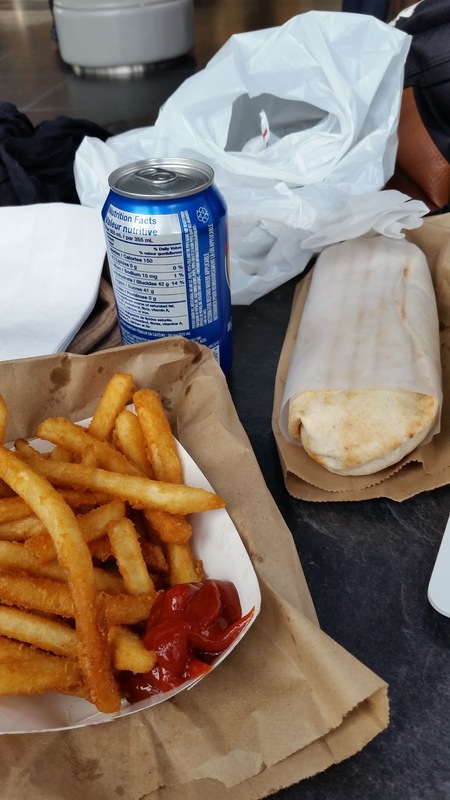 You have falafel wraps, beef shawarma wraps, chicken sharwarma wraps, all in one truck! This truck also allows payment with credit card (although I don’t use that option). Beware however – this truck can sometimes be found off campus on University Avenue, and they increase the prices on their items there. Just buy from them on campus, you can find them in front of Robarts library majority of the time and you’ll be good! I always order the Chicken Shawarma with everything except for hot sauce (if you’re a spicy fan, feel free to add it!) and when I feel like spoiling myself I’ll get a combo which comes with their special seasoned fries and a choice of pop. I actually forgot the actual name of this truck, however this is a white truck which is right beside the famous brown truck by Sidney Smith. 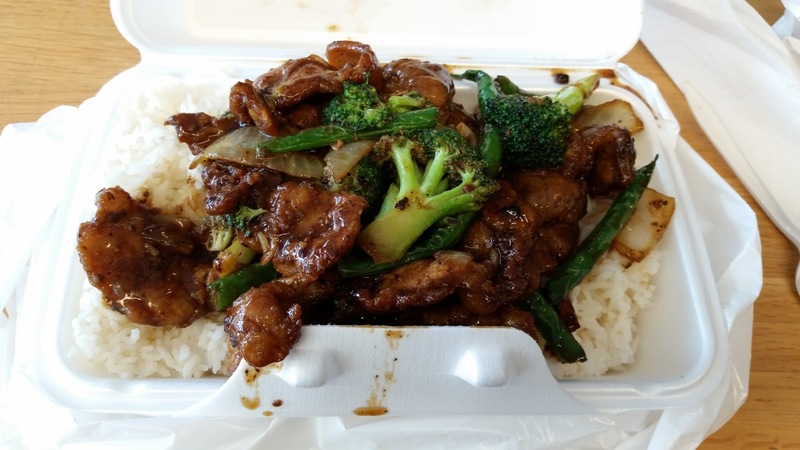 They serve Chinese cuisine at cheap prices as well, and it is a huge hit with many of the international and Canadian students. I love ordering from their 5 minute menu because of the quick timing on delivery and the yummy taste we gain from it! My most frequent order would be the Pork Chops with Sautéed Onion, Broccoli, and Green Beans on Rice which is a filling and absolutely tasty option for lunch. You’re the best! I’ve always been curious of all of the food trucks on the strip in uoft. This is so awesome. The red Chinese truck was always my favourite when I was close by! Thank you so much for the love and support 🙂 Hope you enjoy my future posts as well – cheers!